Figure 22. 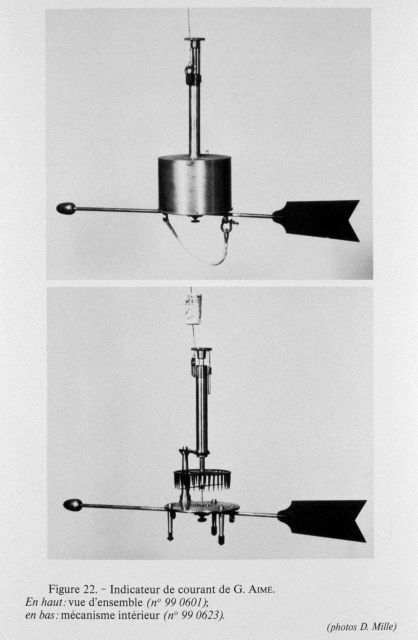 Current indicator designed by Georges Aime in 1845. Top: view of the assembled unit; bottom image, view of the interior workings. Although Aime designed this instrument, it was constructed for use by Admiral Carl Irminger and used to measure currents of the Atlantic from the Danish bark Ornen off Madeira in 1847 at a depth of 632 meters.